Now in Buenos Aires: ¡Bicentenario! Two hundred years ago today Argentina began its revolt against Spanish rule. The 2010 commemoration of la revolucion de mayo has lasted for four days. 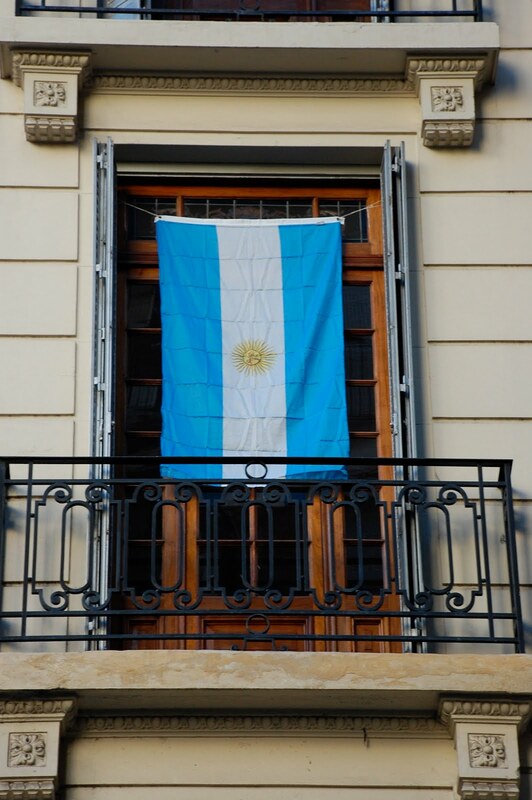 We started off our observations by hanging up our new Argentine flag on the balcony to our living room, following the lead of our neighbors up and down the street. The official festivities were more elaborate. A lengthy section of Avenida 9 de Julio - Buenos Aires' main avenue - was blocked off for numerous events. These ranged from a parade featuring some 80 groups that have large immigrant groups in the country, lead off by the Arab-Argentine community and Bolivia and including Italy and Spain, the major sources of immigrants to the county, to nightime musical performances honoring the folkloric and tango traditions. Downpours failed to curb enthusiasm for the celebrations, especially after Argentina won 5-0 over Canada in its last "friendly" this weekend just before leaving for South Africa and the World Cup. We hiked over to the "Paseo Bicentenario" on Sunday and Monday evenings to witness some of the activities, but rain, mud, and overwhelming numbers of people with the same thought in mind did not make for the best viewing experiences. 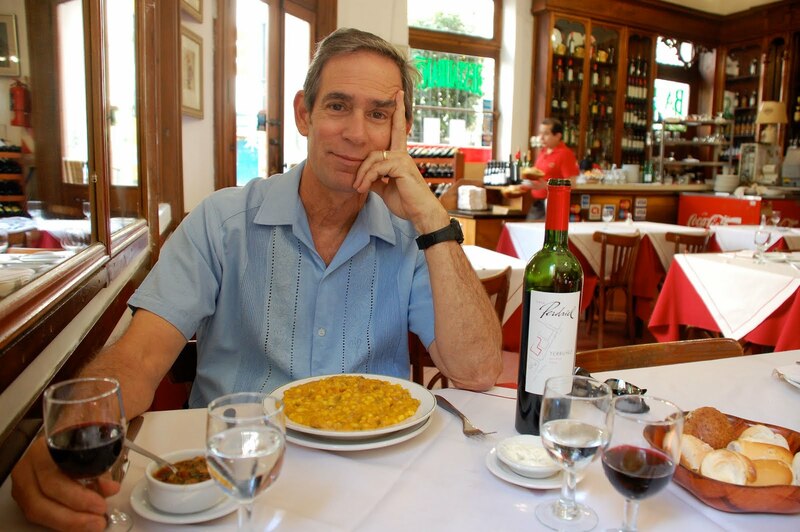 Today we opted for a calmer celebration at Los Pinos, one of our favorite neighborhood cafes and well known for its locro, a traditional stew served during the "fiestas patrias." Tomorrow night we're headed to Teatro Colon, which has just reopened after almost four years of renovation to restore this architectural and acoustic gem to its orginal 1908 splendor. More on that later.